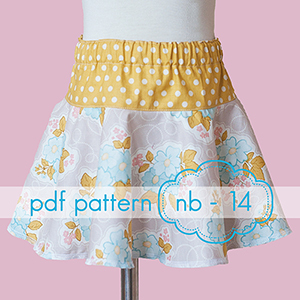 A super cute skirt featuring a dropped waist and a full twirly circle skirt bottom. It's fun to mix and match prints and colors. 3 different length options make this pattern versatile (above the knee, at the knee and below the knee). Full elastic waist for easy dressing.